Acquired brain injuries are postnatal injuries that are not congenital or inherited, and usually cause the brain to be starved of oxygen. An acquired brain injury (ABI) is defined as any postnatal damage to the brain, which does not occur from a congenital or a degenerative disease. These impairments may be temporary or permanent and may cause partial or functional disability, or psychosocial maladjustment. Although ABIs also cover traumatic brain injuries (TBIs), this article will concentrate on the umbrella of acquired brain injuries. Incidences including exposure to toxic substances, drowning, strokes and heart attacks, drug abuse, or tumours can all starve the brain of crucial oxygen supplies. These ABIs can be divided into cerebral hypoxia and cerebral anoxia (although often used interchangeably). 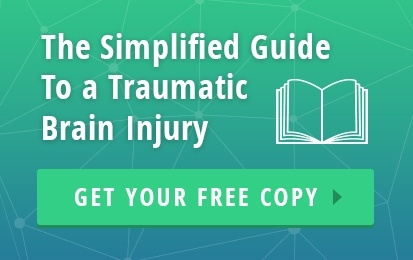 It is important to clarify the difference between traumatic injuries, as these are external forces, such as a knock to the head, sporting or vehicular accident, rather than 'internal' causes like illnesses. Both of these can cause acquired brain injuries. There will be a negative impact on the brain anytime it is without oxygen. As time passes, brain cells begin to die, affecting the way in which messages in the brain are transmitted. The brain uses 20 percent of the body's oxygen intake. Without that oxygen, it doesn’t take long for irreversible damage to occur. Learn more about the Types of Acquired Brain Injuries. Cerebral hypoxic brain injury can occur when the brain only gets a fraction of the oxygen it requires to function properly. This may occur in situations such as choking, electric shock, high altitudes, severe asthma attacks, or general anaesthesia complication. The lack or reduction of blood flow in the brain is the cause of the injury. However, in the case of cerebral hypoxia, there are many variables which will determine the final outcome of the injury. For example, it depends on how long the brain has gone without an oxygen flow and the manner in which this happened. An individual may be prescribed barbiturates to slow down brain activity or steroids to limit brain damage through the reduction of brain tissue swelling. Depending upon the manner in which the injury occurred, medical professionals will further treat the symptoms accordingly. Learn more about Cerebral Hypoxia. Anoxic means “an absence of oxygen,” and in these cases is describing situations in which there is a total lack of oxygen reaching the brain. Cells in the brain start to deteriorate and die after four minutes, and so the longer the lack of oxygen, the greater and more widespread the damage will be. An anoxic brain injury can be caused by electrical shock, extremely low blood pressure, brain tumours, and other forms of trauma. Severe anoxic damage to the brain has been known to affect structures which control hormone regulation; particularly the hypothalamus and pituitary gland. It can also cause a variety of physical, cognitive and emotional changes; shared by all kinds of brain injuries. Learn more about Anoxic Brain Injuries. Timescales for recovery are wholly dependent upon the injury circumstances, where and what damage is caused, and the situation shortly after the injury has occurred. See our sections on brain injury prognosis and brain injury treatment for more information on recovery and rehabilitation.